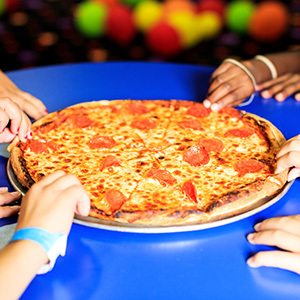 Pizza delivered hot to your party room. Our pizzas are traditional pan style pizza. The dough is handmade daily. Only whole milk mozzarella cheese is used along with the highest quality toppings. Topping choices: pepperoni, sausage, ham, bacon, salami, chicken, meatball, anchovies, fresh garlic, tomatoes, pineapple, banana peppers, green pepper, onions, black olives, green olives, artichokes, jalapeno peppers, or mushrooms. 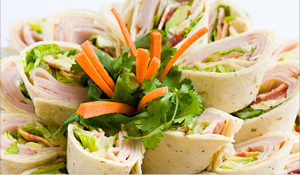 Our sandwiches and wraps are made fresh for your party. Choose 1 or more of the following meats: Turkey, Ham, Salami, or chicken. Choose 1 of the following cheeses: American, Swiss or Provolone. Lettuce, tomato, onion, mayonnaise and mustard are also available. Looking for a healthier option to the normal party faire? 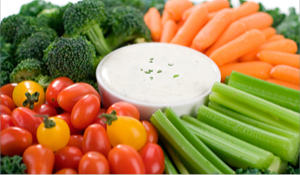 We can provide fruit and/ or vegetable trays for your event. 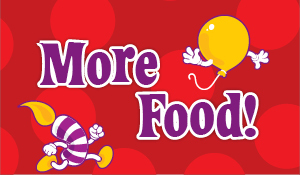 We offer a variety of snacks to enhance your party. Choose something fun like one of our snack bowls offered in a variety of chips, pretzels or pop-corn. Please ask for available selection when ordering. 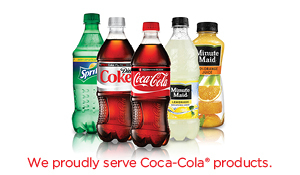 We stock Coca Cola™ brand cola, diet cola, lemon-lime, rootbeer and lemonade. 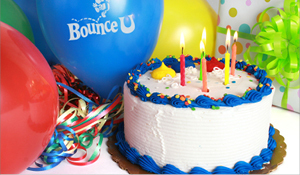 Our cakes are custom-baked by one of the local bakeries.